Here is where mine went. Two gray whales. One calf. My love affair with Cadbury Eggs was cut short this year. I love how he can mess me up. Love and hate it all at once. But I am eating her candy every day. She got some good loot. My mason jar collection is getting out of hand. large for a spray painting extravaganza. Aqua Apron girls is going to be amazing. to appear when I am in need of one the most. have three extra hours in my week. My American Idol season pass got deleted. Not a two year old. I heart denial. And this face. Do you just love Brinner? 3/5 of family members around here do. they cook, they don't get to vote. love for all of the Fast & Furious movies. My brain is filled with way too many absurd quotes. Any other girls with me? Link up your camera phone randomness with me over at Life Rearranged. 1-I LOVE reading your blog. You are so real and make me laugh and think and love. 2-I'm ridiculously jealous of your whale watching trip. I've had a mild obsession with dolphins since I was little. Yes, America is dumb. Voted off a fantastic musician but he'll survive, I know it! We love brinner here too! I'm jealous of your hot dates, I like the movies too :) Enjoy your weekend! oh i am a fast and the furious lova:) for reals! I am seriously contemplating becoming a Fast and Furious fan as of late. I do not watch American Idol, so I keep myself from feeling angry at America every season. Ummm I can quote f&f like nobody's business. My fave s are actually ja rule from #2. Monica!!!!!!! Have a fabulous weekend! Hahahha that would be #1..... And have you seen those nutella snackmpacks?! My heart got a little excited when I first saw the commercial for the new F&F movie, but I didn't say anything out loud. That may be because I couldn't with everyone else saying how dumb that it would be. Oh my gosh-whale watching? Shut it! Im very jealous. All of those pictures are stunning! What apps do you use? That picture of your baby is ADORABLE! Look at that expression!! (yes, she still looks like a baby) :) You are so lucky to be able to listen to Francis Chan!! And our Target disappointed too, but at least I got Cadbury Eggs. And Nutella, our jar looks like that too...lol. Happy Weekend! such a fun post, you crack me up! stupid american idol...team casey all the way, I agree. :( and i LOVE the Mason jars, cant wait to see all that you do with them! I love the whole lot of Fast & Furious series. I watch everyone when they are on TV. Even the 3rd one even though it is not very good. But LOVE LOVE LOVE THEM! I'm with you on the Fast & Furious. No crickets here. Isn't whale watching the most amazing thing ever? We just went for our first time in Hawaii earlier this year. And it makes me want to go back to Hawaii 300x more. AI episodes still waiting patiently in my DVR. I'm more pathetic than America. And rumor around these parts is Francis is starting a church in San Fran. I may have to bail on Hope. And they are ALWAYS babies. ALWAYS. i must get an iphone for insta fridays. do you think craig will be ok with that logic??? i said after the preview for fast and furious...."you know that the people who make previews are GOOD because even I want to see that movie now!!" could janey be ANY cuter? i think not. I love the blog. But I'm not on Team Casey. I love them all and love, love, love American Idol no matter who wins. All the kids are so talented. But that little girl is just tooo cute. Have a great day. I am laughing right now, you crack me up! First of all...I have been eating my little one's Easter loot too:) And, oh the trauma of having an empty Nutella jar. I am obsessed with the hazelnutty goodness! And, I was oh so sad when Casey said his goodbye. He was my fav as well! ummm... am i really clueless if i have no idea what brinner is?! please someone help a girl out? if it's food, i'm in. and you're missing cadbury eggs?! we have so many here... and they're canadian cadbury chocolate! tastes different, to me, anyway. 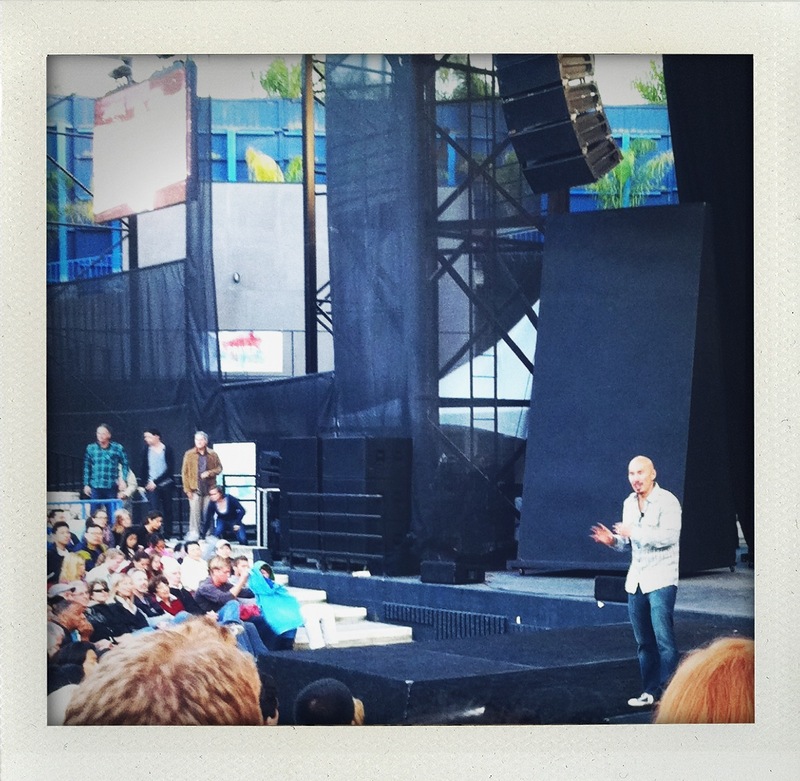 and awe to the some that you got to see francis chan! would love to see him live! let me just say - I LOVE me some fast & furious! so you go to Rock harbor?? That is our home church. We moved away 4 yrs ago but I'm from CA. Had no idea. How fun!! i big puffy heart the fast and the furious!!!!!!! I love Francis CHan...favorite pastor simply because he can mess me up so well and I like it. I too eat my daughter's candy so she doesn't have as much to eat! Looks like you have been having a great time..minus Target failing you....bummer!! Hope you have a wonderful day! Haha! I had to look up brinner in the urban dictionary! Duh - it's breakfast for dinner I should have known! I love it, too! I like your sunny yellow mason jars for fun vases. Nice to visit your blog - have a blessed day! Just be sure to stay til after ALL the credits roll when going to see 'Fast Five'... the movie starts back and it is the best part. hi. :) i just stumbled upon your blog and wanted you to know that i love casey too. and while i'm still going to watch the season [cause i love scotty as well] casey has my heart. Julie you make me happy. I always know I can come here and find happiness. Thanks for not disappointing once again. love your blog, brinner is awesome and yes i'm a fan of F+F too! no crickets here. you make me smile. keep it up! thx! I love me some Fast & Furious! C) Fast and the Furious? Really?? I like the expression your daughter has in that pic :0 I'm too a big follower of American idol show. Love Brinner! Do it once a week! and my Target was that way too this year! So sad! Are these really camera phone photos?! They are incredible. I can't wait to see what you do with the mason jars. 2/3 in my house love brinner. The one who doesn't? Never cooks. Unless it's steaks. I'm thinking I should institute your rule. Thanks! And Janie...just might be the cutest baby face ever.